SAN FRANCISCO, CA – Tubi TV, the largest truly free Internet TV network with no subscription fee requirement, today announced the release of a new slate of anime videos, including all 366 episodes of BLEACH, which will be available to viewers in the U.S. and Canada in its original Japanese language with English subtitles. Adding to Tubi TV’s growing library of free streaming TV and movies, the wildly popular Japanese series joins other fan favorites such as HUNTER X HUNTER, DEATH NOTE, BAKUMAN and NARUTO. 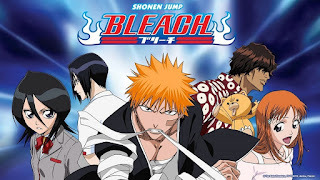 Tubi TV partnered with San Francisco-based VIZ Media, LLC, a premier company in the fields of publishing, animation, distribution and global entertainment licensing, to make BLEACH—among many other anime offerings—available in its entirety to viewers in the U.S. and Canada. The agreement builds further momentum for Tubi TV as the free streaming network continues to grow its library of videos, which includes Oscar-winning movies and Emmy-winning TV shows that span genres from comedy, drama, family & kids, classics and horror, to niche segments such as Korean, Chinese and British TV series. BLEACH is a tremendously successful multimedia property around the world. The TV show is based on the manga created by Tite Kubo, which has been licensed to more than a dozen countries and has over 75 million copies in print in Japan alone. In North America, the manga (published by VIZ Media) has consistently appeared on the New York Times Best Seller list for Manga and the Nielsen BookScan Top 50 Graphic Novels list, selling more than 2.6 million copies across 69 volumes to date. The BLEACH animated series (rated TV-14) has topped the ratings on Cartoon Network’s Adult Swim and sold over 1.8 million DVDs. This success has further spawned an array of related video games, apparel, action figures, trading cards and other merchandise. BLEACH originally aired from 2004-2012 on the TV Tokyo network and was featured a number of times on ANN’s Top 10 “Japanese Anime TV” rankings. The series continues to enjoy a sizeable following with an impressive 8.2 rating on IMDb, based on more than 33,000 user ratings. It was also nominated in four categories at the 2007 America Anime Awards. In the series, Ichigo Kurosaki never asked for the ability to see ghosts—he was born with the gift. When his family is attacked by a Hollow—a malevolent lost soul—Ichigo becomes a Soul Reaper, dedicating his life to protecting the innocent and helping the tortured spirits themselves find peace.